Rosehall Run Vineyards does it again with another prestigious award at the 2014 International Wine and Spirits Competition….a Silver! And I’d like to make sure our readers and listeners know about this wine too! The wine is the Rosehall Run JCR Pinot Noir 2011, VQA Prince Edward County… composed of estate-grown Pinot Noir from two of Rosehall Runs vineyards from grapes that were planted 12 and 13 years ago and the wine aged for 14 months in French oak. The 4th Annual Luxury Chocolate Show Toronto is coming up, its incredible. Always an extravaganza and celebration of this delectable treat… with fine chocolate samplings, incredible vendors, demos and of course the Chocolate and Wine Salon, hosted by The Wine Ladies featuring local and international wines and a selection of spirits too. On this show we learn a little about the history, and the allure of this magical cocoa plant, how its grown, how its made, best enjoyed,with which wines, and learn a little about its many health benefits as well from the Doctor in the house! Next up we’ll be talking wine and chocolate pairings, AND sweet and savoury Chocolate dinners! Sommelier Rebecca Meir-Liebman and her husband Chef Eyal Liebman, founders of L is for…., offering exquisite private dining experiences and Chocolate Dinners, we’ll chat with this dynamic, hugely talented duo about a very special Wine and Chocolate dinner happening Nov 8th, and we will be there, can’t wait! Rosehall Run JCR Chardonnay 2011, Susanne’s Wine Pick. https://www.thewineladies.com/wp-content/uploads/2014/10/Screen-Shot-2018-04-12-at-4.56.41-PM.png 354 467 Susanne Seelig-Mense https://www.thewineladies.com/wp-content/uploads/2017/08/WineLadiesLogoTransparent.png Susanne Seelig-Mense2014-10-21 13:22:522018-04-12 17:09:42Rosehall Run JCR Pinot Noir 2011, Georgia's Wine Pick. My wine pick this week is from Rosehall Run located in one of Ontario’s newest VQA regions, Prince Edward County.The county is situated just under 2 hours east of Toronto. Both Georgia and I have been hosted several times by Lynn and Dan Sullivan the proprietors and winemakers at the winery including when we did a photo shoot for Pie Magazine a year or so ago that involved a rusty old tractor and sparkly gowns! PEC’s area soil’s have a stark resemblance to France’s Burgundy Region,where Chardonnay are world renowned. Chardonnay reigns supreme in the county too and my pick the ROSEHALL RUN JCR Chardonnay 2011,is a testament to that having recently won the prestigious 2014 International Wine and Spirit Competition (IWSC): SILVER OUTSTANDING Award. This Chardonnay enticed me with its fruity aromas of golden delicious apple, and yellow pear. The 2011 cool summer helped hold the great aromatics and crispness that makes County Chardonnay so appealing. I love it. Delicious paired with a creamy BRIE or milk chocolate. Available through the winery, many fine restaurants in Toronto and the LCBO. $29.95 in our market. The Wine Ladies at RoseHall Run for the PIE Magazine photo shoot…. the rusty tractor served as a great back drop. https://www.thewineladies.com/wp-content/uploads/2014/10/Screen-Shot-2018-04-12-at-5.17.34-PM.png 352 528 Susanne Seelig-Mense https://www.thewineladies.com/wp-content/uploads/2017/08/WineLadiesLogoTransparent.png Susanne Seelig-Mense2014-10-20 20:48:052018-04-12 17:19:30Rosehall Run JCR Chardonnay 2011, Susanne's Wine Pick. 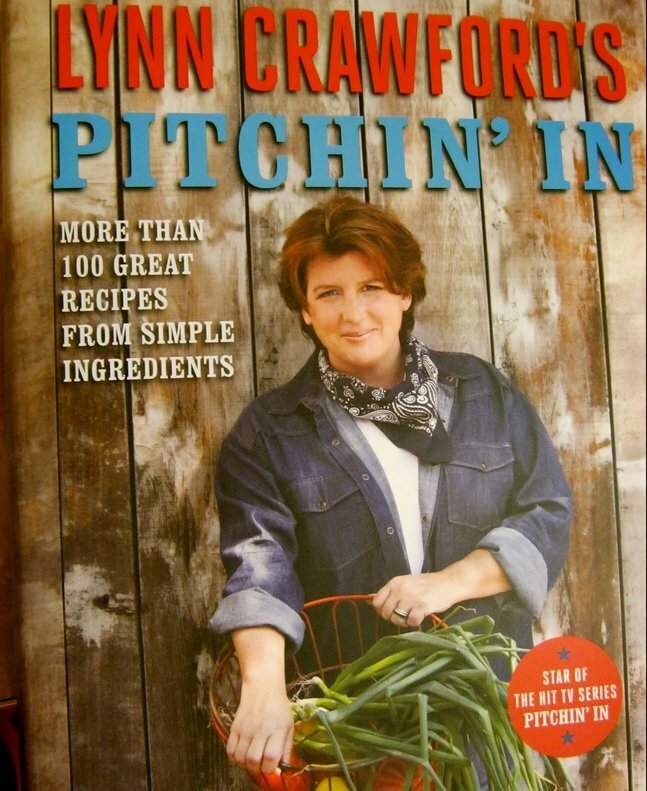 Extraordinary women of wine, food and politics! Coming up on this week’s show…woman, woman and more woman…..in wine, food and politics! 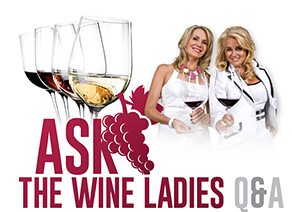 We are going to speak with 3 incredible ladies,each hugely successful, each in their own individual fields…including a celebrity Chef TV host, a founder of an innovative, quirky award winning winery…. .
And finally…. 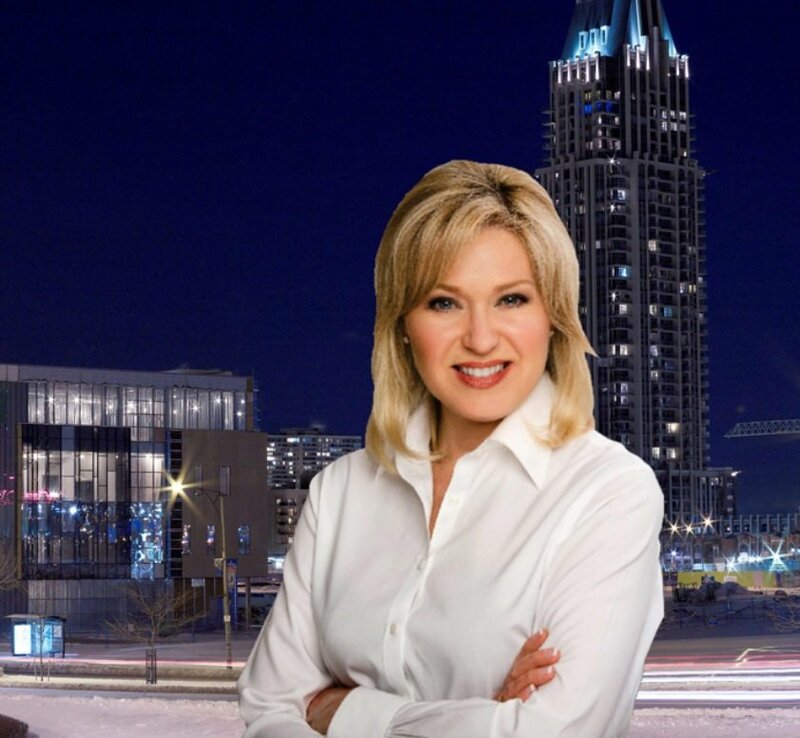 Bonnie Crombie, the mayoral candidate for Mississauga is going to join us on the line, the hometown of ConnectMeRadio.com, Bonnie will give us her take, her vision for the town that we love, and also share a story of intrigue, of exceedingly valuable wine labels that she has the scoop on, all that coming up! 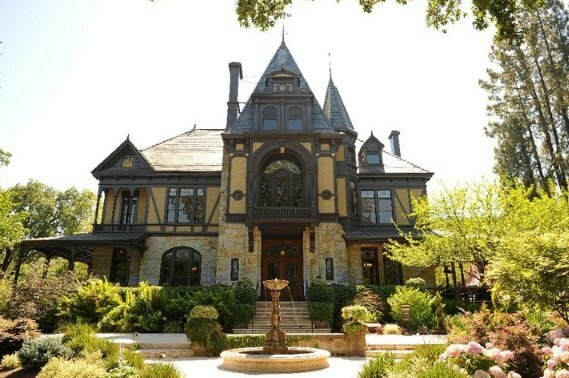 gives us her vision for the town that we love, and also shares a story of intrigue, of exceedingly valuable wine labels that she has the scoop on! 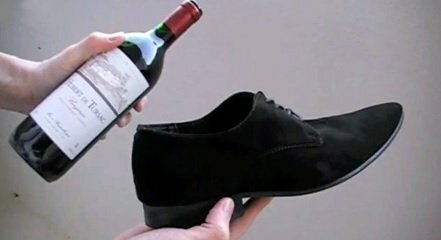 Is it true that you can open wine with a shoe? I don’t believe it. https://www.thewineladies.com/wp-content/uploads/2014/10/images_LynnCrawford.jpg 791 647 Susanne Seelig-Mense https://www.thewineladies.com/wp-content/uploads/2017/08/WineLadiesLogoTransparent.png Susanne Seelig-Mense2014-10-19 15:58:232018-05-23 16:01:16Extraordinary women of wine, food and politics! Chef Lynn Crawford, Evelyn Campbell and Bonnie Crombie. Casa Lapostolle Carmenere 2011, Susanne’s Wine Pick. Not only does she run the family business, she has expanded her family’s empire to Chile. She founded Casa Lapostolle in 1994 and is still out working the wine market while her son Charles holds down the fort at Lapostolle. As a fan of the signature grape of Chile, Carmenere, I love this full bodied, rich, deep coloured, ripe black fruit red wine with a lasting finish….Super duper value Casa Lapostolle Carmenere 2011.
https://www.thewineladies.com/wp-content/uploads/2014/10/images_CasaLaPostolleCarmenere.jpg 503 175 Susanne Seelig-Mense https://www.thewineladies.com/wp-content/uploads/2017/08/WineLadiesLogoTransparent.png Susanne Seelig-Mense2014-10-15 12:22:362018-05-17 17:52:21Casa Lapostolle Carmenere 2011, Susanne's Wine Pick. Susanne and I had a chance to taste this wine with Jerry Comfort, ll a number of years ago, and it left an indelible impression on my palate… so here it is again. From Sonoma’s Knights Valley full bodied, seductive nose of ripe blue and black berry, full intense fruit flavor, good acidity and lasting finish… hmm hmm good! Neighbours of Olde Oakville. Meet, Georgia and Susanne, The Wine Ladies. 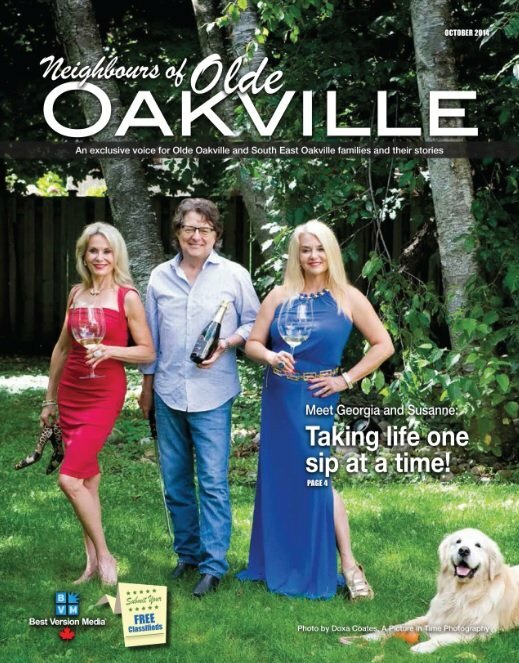 https://www.thewineladies.com/wp-content/uploads/2014/10/images_neighboursofPldeOakvillecover.jpg 663 519 Susanne Seelig-Mense https://www.thewineladies.com/wp-content/uploads/2017/08/WineLadiesLogoTransparent.png Susanne Seelig-Mense2014-10-15 11:43:202018-05-21 07:16:56Neighbours of Olde Oakville. 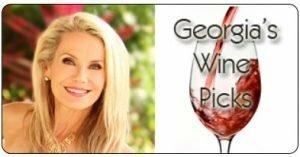 Meet, Georgia and Susanne, The Wine Ladies. 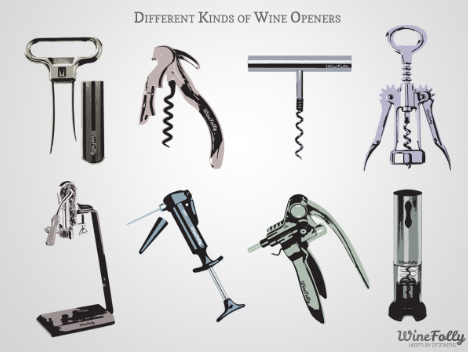 Alternative wine openers and corkscrew. The proverbial grapevine comes through again! Yes, a bottle of wine can be opened with a shoe, a phone book, a tree, or even your bare hands for that matter, all of which methods are based on the same action, utilizing the same theory. The simple action of pounding the bottom of a wine bottle when up side down or horizontally against a fairly hard, vertical flat surface will result in the cork nudging out due to the pressure of the wine that mounts against the cork. In the case of the shoe, a quick warning, a stiletto will not do, simply place the bottle inside the heel area of the show, pound it against the wall, or a tree, if on a picnic and strike repeatedly. Voila, the cork slowly submits and eases out. Another option, place the bottle between your legs, upside down of course, and strike the bottom of the bottle with the shoe. Once the cork is out far enough to grasp finish the job either with your hands or a some pliers. A word of caution, this particular method of extraction may not be successful with synthetic cork closures and of course not be needed in most cases these days with the prolific use of screw caps. We are bubbling over with excitement for this week’s show because #ChampagneDay, October 24th is just around the corner, and we are going to mark this very special day by devoting the whole show to the magic, the allure, the history and the enjoyment of this most delectable bubbly. We’ve got an awesome line up of guests joining us from various corners of the globe starting with Washington D.C. … from the Champagne Bureau USA … we will be speaking with Sam Heitner who will give us the scoop on many of the celebrations going on around the world, we’ll also chat a little about the history of Champagne… and there is a little discord out there on how it was discovered… we’ll chat about the region, how its made, how best to enjoy it and the different styles as well. 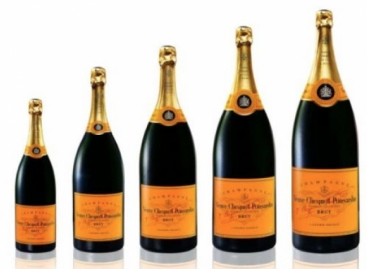 The popularity of Champagne is also just growing and growing…. It’s not just for celebrations anymore… and who would know that better than our second guest, calling in from Chicago, Illinois, Craig Cooper who has been with POPS for Champagne for 13 years, this is a wine bar that specializes in Champagne and sparkling wine and prides themselves on having one of the largest and most dynamic selections in the USA, we’ll get the scoop on what’s hot, what’s not, what food to go with your fizz! Lastly from the United Kingdom, we said we were all over the map, we will be welcoming on the line Christopher Walkey, the founder of “Glass of Bubbly” a Champagne and Sparkling Wine Magazine and website that boasts an international readership and following, just in its first year… with many celebrities asking Glass of Bubbly to be interviewed for the magazine…. now that’s a switch!Loads info, fun and food with our favorite fizz coming up! What is the origin of cheers and clinking glasses? At a recent pub gathering a few friends and I we were in a particularly celebratory mood and proceeded to clink our glasses and boisterously announce “cheers” every chance we got. I was just wondering how this custom got started? 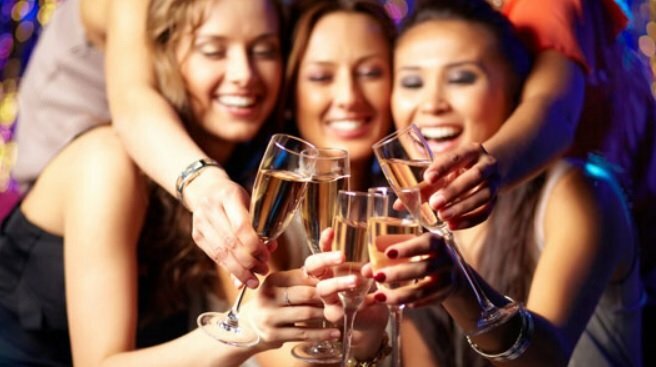 Why do we say cheers when we clink our glasses and can we only participate with an alcoholic drink? 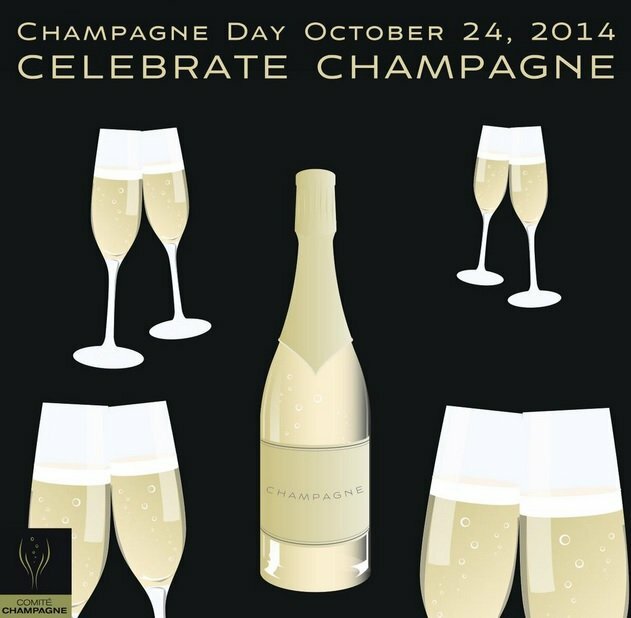 Celebrate Champagne Day Oct 24th in style! The art of sabrage. So for my wine pick this week, obviously a champagne. One of the most celebrated and recognized Champagnes in the world.I actually selected this Champagne for a couple of reasons..
First of all of course, because I love it. 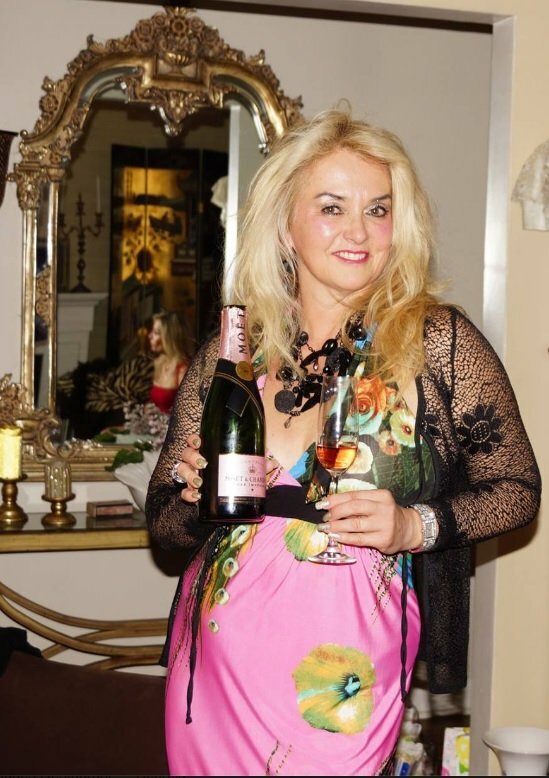 Its often my go-to bubbly, it is elegant, very sophisticated beautiful fine bubbles and a gentle mousse. Fruity with notes of citrus and a touch of mineral and I love the toasty aroma, and the hint of brooch. So delicious, so seductive on the palate. The Champagne is Veuve Clicquot Brut Champagne Pinot Noir/Chardonnay. The other reason, there’s quite a story behind this Champagne house that was founded in 1772. It’s a tale about a remarkable lady who at the tender age of 27, tragically was widowed and left at the helm, or in charge essentially of running this Champagne house. Defying all the odds she took over the reins, bold, confident, the 1st businesswoman of the century many say… she lead the charge, she invented the riddling process, still used today, she created the first vintage Champagne, and to a great extent thanks to Barbe Nicole, Veuve Cliquot is a brand so well known all over the world, an image of great quality, of great taste elegance and when you need to bring a bottle of bubbly to a special occasion or dinner, you just know the host will be very happy when she sees the yellow-orange label of Veuve Clicquot! Perfect paired with potato chips too! Celebrate Champagne Day Oct 24th,2014 with a bottle of Veuve Cliquot and a shiny saber to open it with flair! “Happy #ChampagneDay! Celebrate the unique sparkling wine that only comes from Champagne. 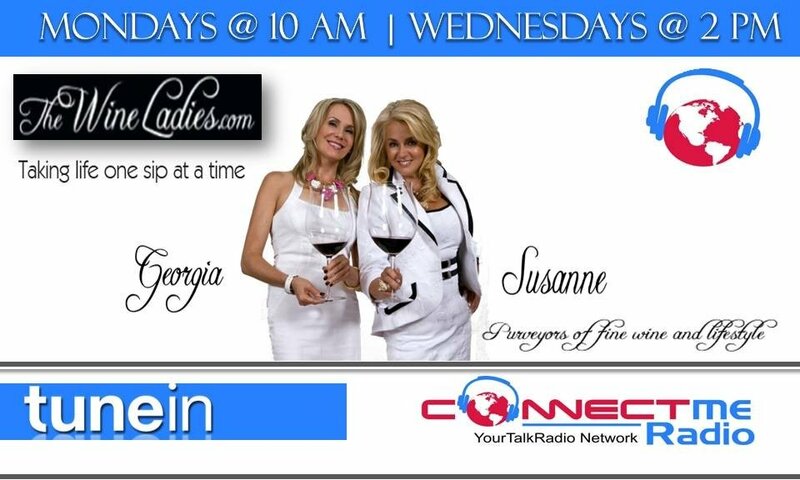 https://www.thewineladies.com/wp-content/uploads/2014/10/Screen-Shot-2018-04-05-at-9.10.36-AM.png 269 367 Susanne Seelig-Mense https://www.thewineladies.com/wp-content/uploads/2017/08/WineLadiesLogoTransparent.png Susanne Seelig-Mense2014-10-06 15:35:402018-04-05 09:15:42Veuve Clicquot Brut Champagne Pinot Noir/Chardonnay, Georgia's Wine Pick. Moët & Chandon Brut Rosé Imperial, Susanne’s Wine Pick. Well I was definitely in a pink kinda mood this week and was looking at the world through rose colored glasses. Why you ask???…. well because it was my birthday and I celebrated in style, including a party bus, limo style (Just For U Limo Bus) for my fantastic friends, a happening restaurant (Strada West Eat and Sip House) in Niagara Falls and of course a glass or two of champagne…. in fact pink champagne…My favourite colour and nothing says celebration more to me than a glass of crisp, rosé champagne in a long stem fluted glass. And I’m not the only one, shipments of rosé from the Champagne region of France have enjoyed significant growth in the U.S.—just last year over 2.7 million bottles of rosé Champagne were shipped to the U.S., making up 15.3% of all shipments in the USA. 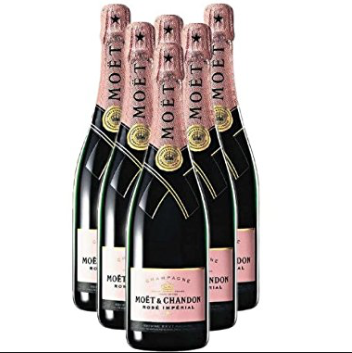 My pick is the exquisite Moët & Chandon Brut Rosé Imperial…simply radiant!, a style distinguished by its fine bubbles, rich red berry fruit, its seductive palate and its elegant maturity with a long finish! Sounds just like me..!! !In our market here about $77.00 and well worth the price. I even brought out my saber the night of my party and opened it up in style! 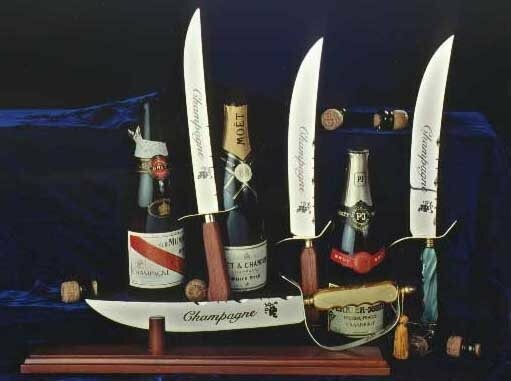 Celebrate Champagne Day Oct 24th,2014 with a bottle of Moët & Chandon Brut Rosé Imperial and a shiny saber to open it with flair! 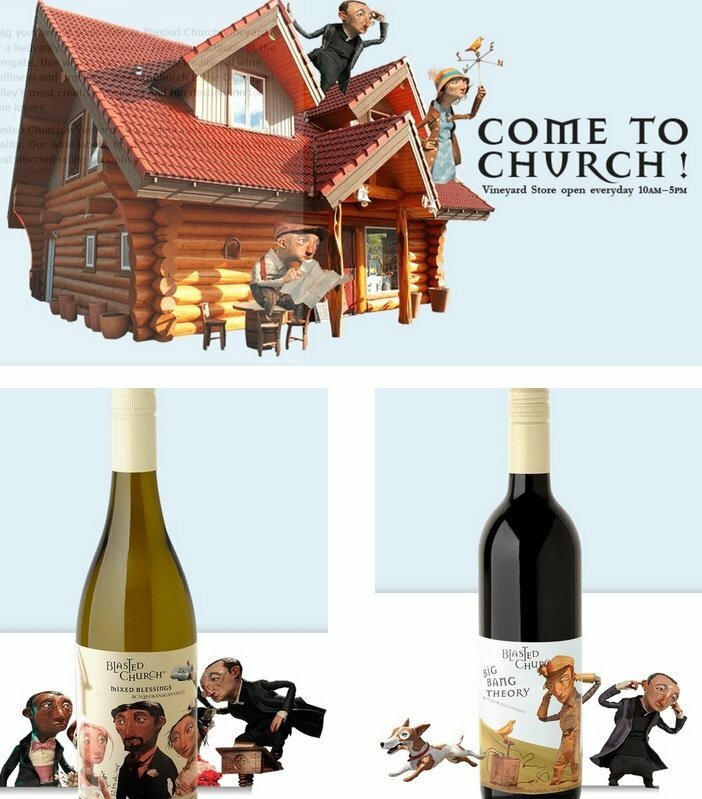 Available on The Wine Ladies on-line store. 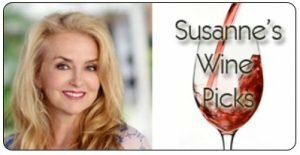 https://www.thewineladies.com/wp-content/uploads/2014/10/Screen-Shot-2018-05-22-at-3.09.25-PM.png 353 352 Susanne Seelig-Mense https://www.thewineladies.com/wp-content/uploads/2017/08/WineLadiesLogoTransparent.png Susanne Seelig-Mense2014-10-06 14:01:072018-05-22 15:12:25Moët & Chandon Brut Rosé Imperial, Susanne's Wine Pick.